Before we understand how LEDs work and why they are more energy efficient, let's take a look at traditional incandescent lamps, how light bulbs shine. If I tell you that all the objects around us are shining, you may be surprised. The common sense of life tells us that only stars in the sky can shine, even the moon is reflected light; in addition to electric lights, candles, etc. in life, do not see other objects are also shining? Scientists tell us that any object, as long as its temperature is higher than absolute zero, will radiate energy to the outside in the form of electromagnetic waves all the time. This is called thermal radiation. The wavelength of electromagnetic waves ranges from a few thousand kilometers to less than 1 nanometer, spanning a huge range, but only a narrow section of 400-800 nanometers can be perceived by our eyes. This is commonly known as visible light. So we can say that all objects, including ourselves, are shining. However, an electromagnetic wave emitted by an object does not uniformly cover all wavelengths but is mainly concentrated near a certain wavelength, and the length of this wavelength is inversely proportional to the temperature of the object. For objects with temperatures around room temperature, the electromagnetic waves they emit are mainly concentrated in infrared rays longer than visible light, so the proportion of visible light is negligible. This is why we can't see these objects shining. As the temperature of the object rises step by step, its thermal radiation will not only become more intense, but also the electromagnetic waves emitted will gradually become visible light, so these objects that would otherwise not be illuminated will become brighter. For example, when the electric wire is heated to several hundred degrees Celsius, it will be red, because the red temperature replaces the infrared light and the heat radiation dominates. If the temperature continues to rise to a few thousand degrees Celsius, the light of shorter wavelengths such as yellow, green, and blue in visible light is also released in large quantities. When the different wavelengths of visible light are mixed together, we see white light similar to sunlight, which is incandescent. Before the advent of incandescent lamps, people burned by burning firewood, lamp oil or various waxes. In fact, they are also using incandescence, but this time they use the high temperature generated by the chemical reaction. The incandescent lamp uses tungsten to flow current. Heat to above 2,000 degrees Celsius to produce a large amount of visible light. Fig.1 Comparison of thermal radiation of objects at different temperatures. From top to bottom, the curve is a star with a temperature of 15,000K (0K corresponds to -273.15 degrees Celsius), a star with a temperature of 5,800K (the sun), a star with a temperature of 3,000K, and A human body visible at a temperature of 310K. The horizontal and vertical coordinates are the wavelength (in nanometers) and the relative intensity of thermal radiation, respectively, and the narrow color band parallels to the ordinate indicates the range of visible light. It can be seen that the temperature of the object must be high enough to emit a large amount of visible light. Incandescence is only a "by-product" when an object is heated, and it is not very cost-effective to heat the incandescent lamp to consume a lot of electrical energy to heat the filament to a very high temperature. Since all the electromagnetic radiation emitted by the heat radiation covers a wide wavelength range, the incandescent lamp emits a large number of infrared rays, ultraviolet rays, etc. while emitting visible light, which does not help to provide illumination but consumes a large amount of energy. The incredible efficiency of incandescent lamps not only wastes a lot of power but also generates a lot of headaches. This heat is transferred to the environment, which may make the user feel uncomfortable. It can easily raise the temperature of the surrounding materials, cloth and other combustible substances above the ignition point, posing a great fire risk. In addition, at temperatures as high as several thousand degrees Celsius, many substances that are stable at room temperature become very active, which means that the filament is easily damaged. Although modern incandescent lamps use a tungsten wire with a very high melting point and evacuate the inside of the bulb or fill it with an inert gas to prevent oxidation of the tungsten, the life of the incandescent lamp is not long, generally not more than 1,000 hours. In other words, even if the quality of the light bulb is good, only 3-5 hours of lighting will be provided every day, and it must be replaced in about one year. Therefore, although incandescent lamps have made an indelible contribution to the progress of modern civilization, it is still impossible to avoid the fate of withdrawing from the historical stage. At present, governments have already put out the elimination of ordinary incandescent lamps on the agenda, for example:Attention!The EU will phase out the halogen lamps in the next month! In the next few years, incandescent lamps will gradually disappear from people's horizons. So who will continue to provide us with lighting? That is the cold luminescence of the principle of luminescence. We know that if you use your feet to kick a football on the ground, then the speed of each football flying is different because it is difficult to guarantee the same force every time. However, if this football is free to fall from the balcony on the second floor, it will always fall to the ground at the same speed. This is because we have overcome the attraction of gravity in the process of taking football from the first floor to the second floor, and football has increased its potential. When the football fell from the second floor, the added potential was released, giving the football speed. Since the height of the floor is fixed, the added potential energy is also fixed, and the speed at which the football is landing is naturally the same. We also know that atoms are composed of electrons outside the nucleus and the nucleus. The atoms that make up the molecules are these electron interactions that hold different atoms together. Whether in atoms or molecules, these electrons live in a tall building, and each floor of a tall building is called an energy level; the higher the floor, the higher the energy. Generally speaking, when e-staying in such a tall building, it always starts from the highest energy “first floor” and gradually occupies the upper floor. When all the electronics are checked in, there will be many floors in the building. Suppose the electrons in a molecule occupy 1 to 10 layers of the building. If we move the electrons that are in the lower layer to the upper layer, the electrons also add energy to the process. If you let this electron back to the lower layer, then the extra energy will be released, but it will not increase the speed, but release the electromagnetic wave. If the wavelength of the electromagnetic wave is just in the range of 400 to 800 nm, the electron emits visible light during this movement. At the concert, the fluorescent stick that the fan is waving is a typical example. When the fluorescent rod is bought, it does not emit light. Once we bend it, the chemical substances originally separated by the inside of the fluorescent rod are mixed together to form a chemical reaction; the energy released by the reaction makes some electrons low in energy. The state enters a state of high energy, and when they return to a state of low energy again, the light is released. Figure 2 A common principle of cold luminescence: electrons first absorb energy from the outside, enter the state of higher energy from the state of lower energy; then return to the state of lower energy, and release excess energy in the form of visible light. The glow stick that is emitting light is not as hot as a lit incandescent lamp, so illumination like a fluorescent stick is often referred to as cold illumination. Cold lighting does not require heating objects to very high temperatures like incandescent lamps, so the utilization of energy is naturally higher. Another unique feature of cold luminescence is that it does not generally cover a wide range of wavelengths like incandescent luminescence, but instead concentrates on a particular wavelength. For example, a yellow fluorescent rod will never emit red or blue light, and it will not emit infrared rays and ultraviolet rays that are not helpful for illumination. This is also an important reason why the utilization of energy by cold light is higher than that of incandescent light. Figure 3 The glow of a fluorescent stick is a typical cold glow. Usually, the fluorescent rod can only emit light of one color, and the fluorescent rod emitting light of different colors can be obtained by changing the structure of the chemical substance in the fluorescent rod. The aforementioned fluorescent rods use chemical reactions to get electrons into high energy. We can also use light to supply energy to electrons. For example, when a banknote is placed under a UV lamp, we will find that some areas emit blue light because the electrons of certain substances in these areas absorb the energy of ultraviolet light, which produces cold light. Such cold illumination, which is powered by light, is called fluorescence or phosphorescence, and fluorescent lamps use this principle. The inner wall of the fluorescent lamp tube is coated with a phosphor powder, and the ends are made of the tungsten filament. A small amount of mercury is added to the lamp tube, and an inert gas such as argon gas is charged. After the circuit is turned on, current flows through the filament, and a large number of electrons are released from the filament. These electrons collide with the atoms of the argon gas in the filament, causing some of the electrons in the argon to escape; and the argon atoms themselves are positively charged and become argon ions. These electrons and argon ions move from one end of the tube to the other, and the heat released during the movement changes the liquid mercury into mercury vapor, and the mercury atoms entering the vapor also collide with the electrons and argon ions. As a result of the collision, a large number of ultraviolet rays are released from the mercury vapor. The phosphor absorbs the energy of ultraviolet light and then produces fluorescence or phosphorescence. These substances emit no more ultraviolet light but visible light. In this way, the fluorescent lamp converts electrical energy into light energy through the cooperation of several processes. 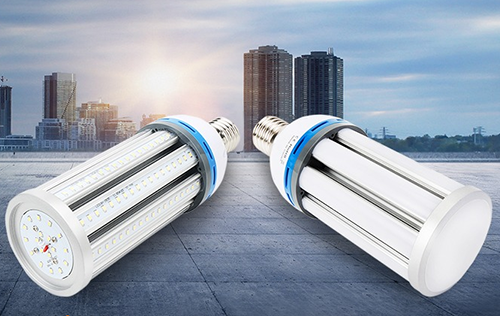 Since the illumination is provided by the principle of cold illumination, the efficiency of the fluorescent lamp is much higher than that of the incandescent lamp, and 20-25% of the electrical energy can be converted into light energy. Fluorescent lamps also have a much longer life than incandescent lamps and theoretically provide at least 10,000 hours of illumination. However, people still do not meet such figures, so they have developed another kind of luminaire with the principle of cold illuminating - LED. How Does The LED Shine? To understand how LEDs work, we should first understand a problem, that is, some materials can conduct electricity, while others do not. 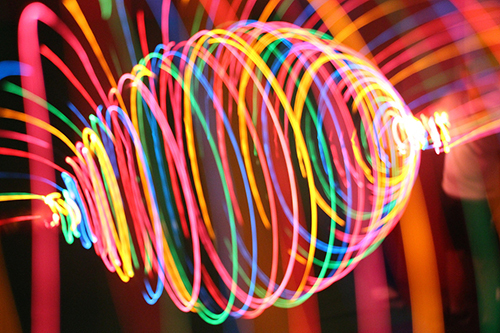 A material that conducts electricity must have enough free-moving electrons. However, in atoms and molecules, electrons always stay in their own fixed position; the electrons of most materials require a lot of energy to break free and move freely. Such energy does not normally exist. Naturally, there are no free-moving electrons, and these materials cannot be electrically conductive. This is commonly known as an insulator. A small number of materials, such as metal, salt aqueous solutions, etc., due to the special structure, a large number of electrons can move freely, this is the conductor. There are also some materials that are special, such as silicon. At room temperature, their electrons are similar to insulators and can only stay in their own position, unlike metal electronics. But unlike most insulators, the electrons in silicon do not require very high energy to get out of their own position, so the conductivity of silicon is higher than that of a normal insulator. Especially after the temperature rises, this energy becomes smaller, so these electrons are more likely to move freely. This material, which is electrically conductive between the conductor and the insulator, is called a semiconductor. However, in practical applications, letting silicon conduct electricity does not require heating, but rather "doping". That is, introducing other elements into the silicon so that their atoms occupy the original position of the silicon atoms. So how does doping improve the conductivity of silicon? We know that an atom wants to combine with another atom to form a molecule. Generally, two atoms need to each take out an electron to form a chemical bond. 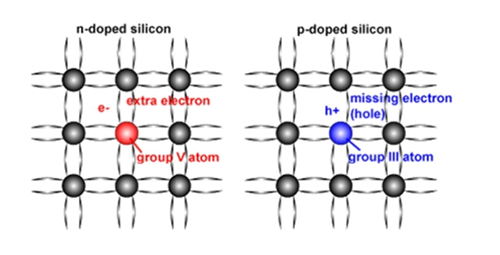 There are a total of 14 electrons per silicon atom, but only 4 electrons can be combined with other atoms, which means that when a silicon atom forms a crystal, each atom can be combined with another four silicon atoms. If silicon is doped with phosphorus or arsenic, both elements have 5 electrons that can be combined with other atoms, while the surrounding silicon atoms only need 4 electrons, so the extra electrons are unconstrained. The crystal of silicon moves freely. If there are enough phosphorus atoms doped, a large number of electrons will move freely in the crystal of silicon, and the conductivity of silicon will increase. A semiconductor that generates free electrons by doping like this is called an N-type semiconductor. What if boron or gallium is doped into silicon? Both of these elements can only take out 3 electrons, but silicon requires 4 electrons, so there is always a certain silicon atom that does not get enough electrons, which forms a hole. The only way to fill this hole is to "remove the east wall and make up the west wall" - grab an electron from the silicon atom next to it. The holes are created next to each other. This new hole naturally digs electrons from the silicon atoms next to it - this keeps tossing, which is equivalent to the holes constantly moving in the crystal of silicon. Equivalent to having electrons moving freely, silicon can, therefore, become conductive. A semiconductor that generates a moving hole by doping like this is called a P-type semiconductor. If an N-type semiconductor is brought into contact with a P-type semiconductor, the positive electrode of the power supply is connected to the P-type semiconductor, and the negative electrode is connected to the N-type semiconductor to form a complete circuit; then a large amount of negatively charged freedom exists in the N-type semiconductor. The electrons move through the P-type semiconductor to the positive side of the power supply. Similarly, positively charged holes in the P-type semiconductor will move through the N-type semiconductor to the negative side of the power supply. At the junction of these two semiconductors, electrons and holes meet. The freely moving electrons in the N-type semiconductor are in a relatively high energy position, while the holes in the P-type semiconductor are in a relatively low energy position; when they meet, the electrons occupy the original position of the cavity, which is like a soccer ball. From the second floor to the first floor, more energy is available; and the excess energy of some semiconductor materials can be released in the form of light, so a light-emitting diode is born. The basic principle of LEDs is the same as that of fluorescent lamps, which are cold luminescence; however, LEDs have higher luminous efficiency than fluorescent lamps and can convert 30% or higher of electrical energy into light energy, and researchers hope to increase this ratio. Up to 60%. When the fluorescent lamp is not lit, it is not as hot as an incandescent lamp, but it still makes us feel that it is hot. When the hand is placed on a light-emitting diode lamp, we almost never feel the heat, obviously, it means less. The electric energy is turned into heat energy and wasted. LEDs also have a longer life than fluorescent lamps and can last up to 20,000 hours without damage, and some can reach 50,000 hours. In addition to being more energy efficient than fluorescent lamps, LEDs do not require the use of toxic mercury, which avoids the environmental hazards associated with mercury release. In addition, the structure of the light-emitting diode is also simpler than that of the fluorescent lamp, and thus is more compact; the convenience of use and the reduction of energy consumption during transportation cannot be ignored. Bibi, is the backlight of your computer monitor replaced by a fluorescent lamp to a light-emitting diode? How does cold light emit white light? Careful friends may have noticed that although there are many advantages to cold light compared to incandescent lamps, there is also a problem that only one color of light can be emitted. Monochrome lights are sufficient for indicators, lights, etc. However, if used for indoor lighting, monochromatic light can be uncomfortable. So how can we make fluorescent lamps and LEDs emit soft white light? As we all know, white light is the result of mixing light of different colors in visible light. Therefore, in order to obtain white light by cold light, it is first necessary to generate light of different colors. If you want to change the speed of football landing from the second floor, you can stand on the second floor of different heights to let the football fall - different heights, the energy that football can release is different. Similarly, the "layer height" at which electrons are located can be adjusted by changing the molecular structure. The reason why we can see the fluorescent sticks of different colors is that the molecules with different "layer height" are added, and the emitted light is naturally different. With fluorescent lamps or LEDs that emit different colors of light, we can combine them to form white light, but in fact, although white light contains many different colors of light, our eyes are only the reddest, green and blue. Sensitive, so only need to mix the light of these three colors in a certain proportion, it will produce the effect of white light. The combination of red and green light produces yellow light, so to produce a white light effect, you can directly mix the yellow and blue light. The two colors that produce a white light effect after mixing are commonly known as complementary colors. Fluorescent lamps and light-emitting diodes use complementary colors to produce white light. The inner wall of the fluorescent tube is usually coated with two different fluorescent materials. When exposed to ultraviolet light, they respectively emit yellow and blue fluorescence, and after mixing, a white effect is achieved. A common white light-emitting diode encapsulates a blue light-emitting diode into a tube coated with a yellow fluorescent material on the inner wall. The blue light generated by the light-emitting diode excites the fluorescent material to produce yellow light, and the two combine to achieve a white light effect. A white light emitting diode is actually equivalent to a mixture of a light emitting diode and a fluorescent light. Another common white light-emitting diode is to package a light-emitting diode emitting three colors of red, green and blue to achieve a white effect. However, strictly speaking, fluorescent lamps and white light-emitting diodes do not emit true white light, but deceive our eyes in a clever way, making us feel the same as real white light. I have introduced so many advantages of LEDs. 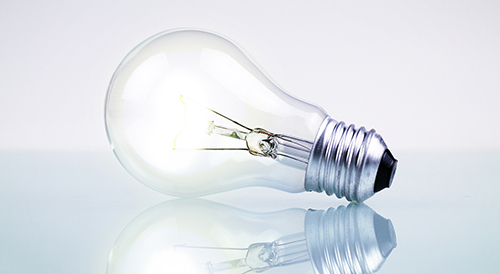 How much can we save by using LEDs instead of incandescent or fluorescent lamps? Let's take a look at the estimates made based on the situation in the United States. Suppose we have an incandescent lamp with a power of 60 watts. To achieve the same lighting effect, fluorescent lamps and LEDs need only 14 watts and 10 watts respectively. If you continue to provide 50,000 hours with these three types of lamps, that is, if you use them for more than 20 years with 6 hours of lighting per day, how much do you need to pay for each? Incandescent lamps cost 50,000 hours of electricity to consume $300. In addition, incandescent lamps typically last 1,000 hours, which means we need to replace more than 40 bulbs in these 20 years. Although incandescent lamps are the cheapest of the three types of lamps, replacing such a large number of lamps is still a small expense, costing more than $50, and the total cost exceeds $350. Fluorescent lamps provide 50,000 hours of lighting for only $70. Although it is more expensive than incandescent lamps, due to its long service life, we only need to spend less than $20 to buy 5 lamps, so the total cost is greatly reduced. Only less than $90. LEDs that provide 50,000 hours of lighting require a lower electricity bill, only $50, but unfortunately, because of the current cost of LEDs, most of the electricity savings are offset by additional lamp spending. Even so, the total cost of providing illumination with LEDs is only about $86, still lower than fluorescent. It can be seen that incandescent lamps waste a lot of energy and have the lowest efficiency, while the use of fluorescent lamps and LEDs to provide illumination can significantly save energy and resources. With the continuous improvement of LED production technology, it is believed that the cost of LEDs will drop significantly, and by then it will bring us more benefits. Maybe you will think that the difference in a light is negligible, but don't forget that there are countless fixtures around the world that provide illumination. In the United States alone, more than 10% of electricity is used for lighting every year. If efficiency is improved, the energy and resource savings will be significant. Numerous researchers are committed to developing LEDs that are more energy efficient and environmentally friendly than traditional luminaires so that we can better protect our homes while enjoying a better life.